Amazon Tribes - Uncontacted Or On The Run? Uncontacted Amazon Tribes - are they truly 'uncontacted'? Can they really exist in this modern world of advanced technology? If so, how many are left? Should we contact them, or do they not want to be contacted? 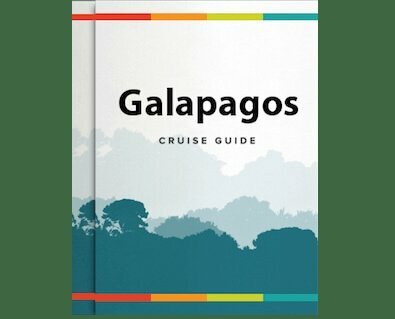 Rainforest Cruises investigates. The indigenous tribes of the Amazon have inhabited the rainforest for thousands of years and a large percentage of these people continue to live in complete isolation from the outside world. They are entirely self-sufficient: they hunt and produce their own food, create their own shelter and provide their own security. Their customs and culture are therefore entirely unique. It is estimated that some 300,000 natives currently inhabit the rainforest, comprising of some 450 different tribes, who speak more then 150 languages. Amazonian tribes can hugely vary in size. The Yanomani tribe, for example, has some 22,000 members living in northern Brazil, yet in stark contrast, the Akuntsu tribe who occupy a small patch of forest in western Brazil has just 5 surviving members. There is even a single man in Brazil’s Rondônia state believed to be the sole surviving member of a tribe. Discovered in 1996 and commonly referred to as “the Last of His Tribe,” noone knows his name, that of his tribe, or the language he speaks. He is still thought to be alive, living a solitary life in a patch of forest, surrounded by cattle ranches. These indigenous people tend to live in communal structures that are made out of bamboo and are then covered in palm leaves and straw. They grow their own fruits and vegetables like corn, beans, papaya and passion fruit and also hunt and fish. They use poison-tipped darts, blowguns and bows and arrows to immobilize deer, tapir and monkey when hunting and sometimes use a plant-based poison to stun fish. Men and women have distinct roles within their village. Women generally have the responsibility of cooking, household chores, crop growing and taking care of the children, whilst the men do the hunting. Surprisingly hunting accounts for a relatively small amount of their total food intake. Instead, both men and women, and indeed the children, all take part in fishing. There are also tribes that are nomadic such as the 'uncontacted’ Awa tribe. They tend to live deep in the jungle, away from the rivers and these tribesmen have the ability to construct houses in hours. As expert hunter-gatherers, they never settle long enough to grow crops. As one might expect, so far away from 'civilization', they live without need for electricity or power, living at one with the resources that nature provides. Most tribesmen and women alike wear very basic clothing, a straw skirt or simple loincloth. Those tribes, however, that have never had contact with the outside world will normally just live naked. Tribal face paint is another part of everyday culture and it normally has militaristic connotations, used as either camouflage or to scare an enemy. It can, however, also have religious undertones. Each color normally relates to a separate act: red is the color of war, white is the color of peace, black signifies battle preparation and yellow is the color of death. Rituals and spiritual ceremonies are also common amongst these Amazonian tribes. In the Satere Mawe tribe, to become a man, young boys must wear gloves full of bullet ants. Some who have been stung by such ants have compared the pain to being continually shot for 24 hours. Another common ritual amongst many Amazonian tribes is the belief in animism, that non-animalistic entities like plants and water possess a spiritual essence. Often misleadingly described as "uncontacted," most tribes have been in some kind of contact with the outside world at some point, some during the rubber boom era a century ago, a time when they were severely exploited, enslaved and brutally massacred. It’s no wonder they retreated from their traditional homes near major rivers and ventured deeper into the jungle to live in isolation. For the past century, they have lived with an awareness - and fear - of the outside world and have made the conscious choice to become inaccessible. Yet there are at least 77 tribes that are believed to be completely ‘uncontacted’ in the true sense of the word. In 2010 one such tribe from the Brazilian state of Acre was witnessed from the air by a plane that had been chartered to search for evidence of illegal logging. Fearful of a threat, and unsure as to what this machine was, the tribesmen fired arrows up into the sky in defense. From evidence of first contact experiences, tribe members have been said to imitate animals as a way of expressing emotion, such as the sound of a jaguar for anger, and that of a wild pig when scared. These indigenous tribesmen are at a growing risk of extinction from their native lands as their population is rapidly decreasing as a result of both legal and illegal practices. In the 1500s more then 7 million natives lived in the rainforest and this number decreased to 1 million by 1900. It now stands at 300,000. Deforestation is a major contributing factor as it is estimated that currently 6,000 km² of Amazon rainforest is lost annually (that's roughly 1.5 football pitches' worth disappearing every minute!) and that if this continues at such a devastatingly high rate, it, and its inhabitants, will totally disappear within 50 years. Similar problems can be seen with oil development, which is furthermore destroying sections of the rainforest. Drug trafficking is another concern that is driving the natives out of isolation. Instances occur where previously uncontacted tribes have emerged to the outside world seeking help after suspected drug lords and illegal loggers have wounded and killed their people, as well as having occupied their land. It is not just the immediate and violent threat of armed conflict that tribes face. Contact with the outside world can also have dangerous and disastrous delayed consequences. Frequently, the tribesmen will contract mumps, measles and influenza, diseases to which their immune systems are not accustomed to and it is not unusual that up to 50% of a tribe's population might be killed within a year or two of contact. For decades, the governments of Amazon nations showed little interest in protecting these groups, often viewing them as unwanted remnants of backwardness. They often tried to force them into ‘mainstream’ society or relocate those who stood in the way of profitable commercial exploitation of the rainforest, thereby eliminating their cultural diversity and freeing up their lands. Worse still, corrupt officials within Brazil’s Indian Protection Service (SPI), often tortured, murdered and even exterminated whole tribes in order to steal their land. In Peru, at one stage, the Peruvian government denied that uncontacted people even exist. However, thanks to increased global awareness – explicitly the 1967 Figueiredo report (a shocking 7,000 pages long exposé on criminal actions against the indigenous population of Brazil) and subsequent 1969 Sunday Times article ‘Genocide’ - things are changing. As a result of the above publications, in 1967 Brazil set up FUNAI (Fundação Nacional do Índio), Brazil’s National Indian Foundation, the only government department in the world dedicated to the protection of indigenous peoples, and in 1969 Survival International, the global movement for tribal peoples’ rights, was founded. However, these measures, although progressive, are seen by many to be insufficient. Despite governmental promises, the dark shadow of the rubber era atrocities still linger. Last year, timber companies working illegally inside Manú National Park drove a group of isolated Mashco-Piro Indians from their forest sanctuary, and more recently four Ashaninka natives, included renowned leader Edwin Chota Valera, were assassinated for speaking up against illegal logging on their traditional lands. Until land rights for the indigenous people of the Amazon rainforest are granted, governments stop allowing major oil and gas operations to operate on their lands and tougher sentences are enforced for those involved in illicit mining and deforestation, mankind may well exist in one of its most primitive and purest forms in the Amazon … but not for long. Meet and interact with Amazon tribes in person and learn about their traditional way of life on an Amazon river cruise with Rainforest Cruises.